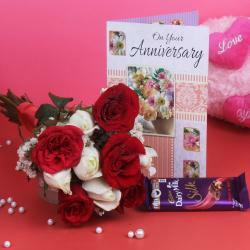 Product Consist : Hand Tied Bouquet of 10 White and Red Roses. Flower is the most beautiful creation of god which is like friends that they bring bright color in your life. The sweet smell of flowers makes the air pleasant to breathe. So flowers are loved and adored by all. 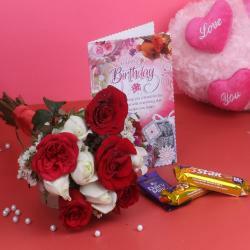 A bouquet of roses is an elegant way to express your true love. 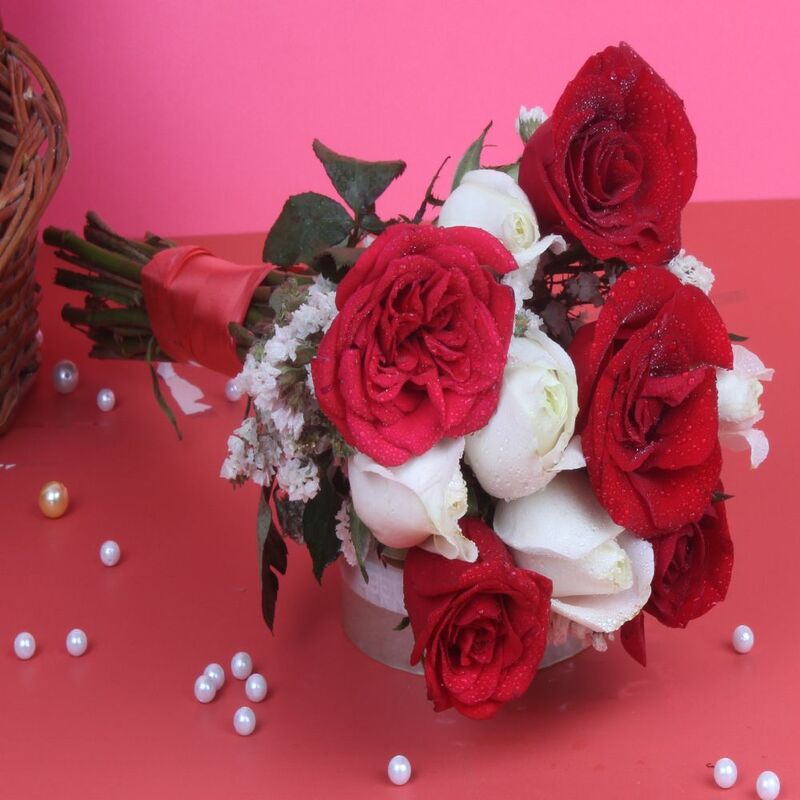 Delight your friends, relatives, family member or dear one with this fabulous A Bunch of 10 white and red roses provided by Giftacrossindia containing a bouquet of 10 beautiful white and red roses which is beautifully designed. 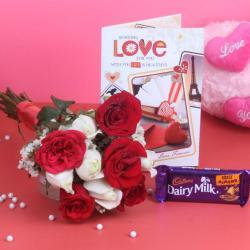 This bouquet signifies pure and heartfelt feelings that can convey the message of love, care, affection, appreciation, honor and gratitude. It is a great or perfect bouquet to be presented to someone whom you really care, respect and appreciate. Create smile on the face of the people you love, by sending them this fantastic bouquet of fresh white roses.